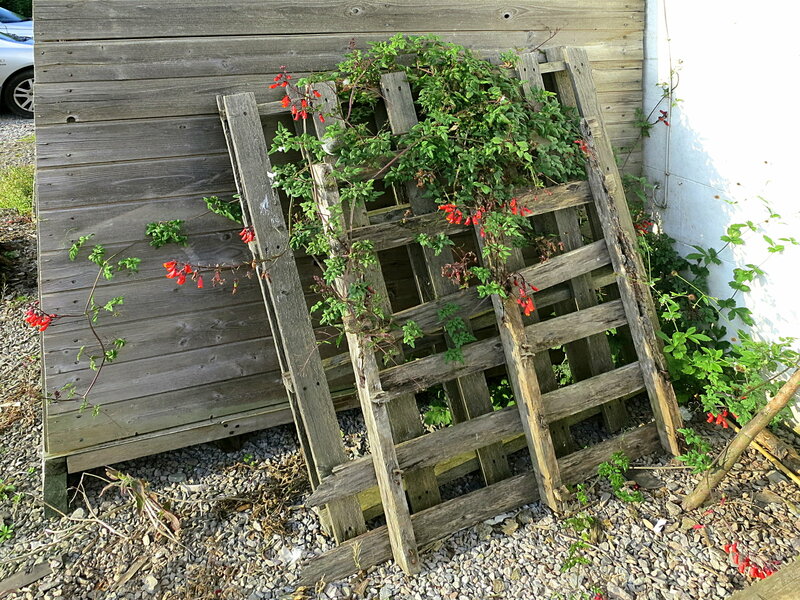 A few years ago, I leaned a couple of wooden pallets up against the side of our woodshed, and forgot all about them. In the mean time, some clematis has self-seeded and started climbing up them. Now I don’t want to move them. See also: Death and life in the woodshed. Doesn’t look very clematis-like to me. Are you sure about what it is? We’ve been told that it’s a clematis by Sarah Bickers: that’s good enough for me, unless I get solid evidence to the contrary.